There was an item in the regional news yesterday reporting that six jeepney barkers in the city of Lipa were arrested for violating a local ordinance that prevents them from, well, ‘barking’ outside of authorised pick-up points. For the benefit of those not from these parts, the barker is an individual who barks out a jeepney’s route or destination for the benefit of the riding public. More on the matter later. The ordinance, as I understood it from the news, was passed to help improve the flow of traffic in the city, particularly uptown. In that case, the ordinance is well-intentioned; and it is good to know that the traffic situation is being recognised and addressed by local government. However, I struggle to understand the connection between the barkers and traffic. The latter is caused primarily in the case of Lipa – especially uptown in the city proper – by the volume of vehicles and the narrow colonial-era roads. The barkers are incidental to the problem and whether they contribute at all to it is arguable. Jeepney drivers tend to slow down or park in the hope of picking up passengers near places where there is an expectable volume of people ingressing and egressing: the market, schools, churches, malls, factories, bus drop-off points and outside the gates of subdivisions, to name a few. That just cannot be fair. In fact, the service can be thought of as nothing but a rip-off. Passengers will board if they want to and stay no matter how loud a barker shouts. The barker, when you come to think about it, is even something of an insult to the passenger’s intelligence. As I understand it from a jeepney driver who I once interviewed to pass the time while he waited for passengers outside a mall, the barkers are drawn to these very places where the jeepneys tend to congregate and make a pseudo-terminal of the roadside. If this is really the case, then the barkers are the chicken to the traffic problem. The jeepneys are the egg. Of course, there are still the tricycles; but they are outside the scope of this article. The traffic problem will not really go away unless roads are forcibly widened, vehicle ownership controlled and an alternative mass-transport system provided. Whether this will one day happen, I am not in a position to say. However, any solutions that attempt to control the barkers merely scrape the surface of the problem. It probably will have more of an impact if jeepneys are simply not allowed to linger anywhere except on designated pickup points. Where there are no jeepneys queued on the roadside hoping to pick up passengers, there will be no barkers. These barkers are not necessarily welcome as far as some jeepney drivers are concerned. First of all, as I understand it, the barking is not really invited by the drivers. Thus, they pay for a service they do not ask for and for use of space that the barkers do not even own. At the time that I interviewed this driver which was a good few years back, the going rate was anything between PHP 5-10 each time a jeepney lingers at a ‘station.’ A jeepney bound for Lemery or Batangas City can expect to pass several of these before it reaches its destination. As a profession, being a barker is a curious one. It is hard work, alright. It cannot be fun and it is certainly hazardous to the health. It cannot be easy to be shouting all the time, all the while inhaling the noxious fumes from the exhausts of the parked jeepneys. A barker interviewed by the news crew in yesterday’s regional item said that he makes a measly PHP 200 pesos a day. But I struggle to think of another job that matches or even comes close to being a barker in terms of being irrelevant and redundant. First of all, a jeepney’s route is painted brightly on either side of the vehicle; colour-coded at that. Unlike in Manila where jeepneys have their routes painted underneath the windshield, here most jeepneys also have the destination on a little signboard hanging from the windshield itself. In other words, there is no need whatsoever for the barker. On the rare occasion that a passenger is illiterate, of course he or she can always ask the driver himself where the jeepney is headed. 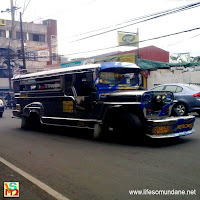 I sometimes observe passengers who get on board jeepneys at the stop in front of Robinson’s Place Lipa. Off the top of my head, I would say a good 99% ignore the barkers, anyway, and just get on board as a matter of course, having obviously seen the brightly painted signage on the sides of the jeepney. There are even those who, despite all the efforts of the barker, still for some reason prefer to check the signage on the jeepney’s side as if not trusting the barker. 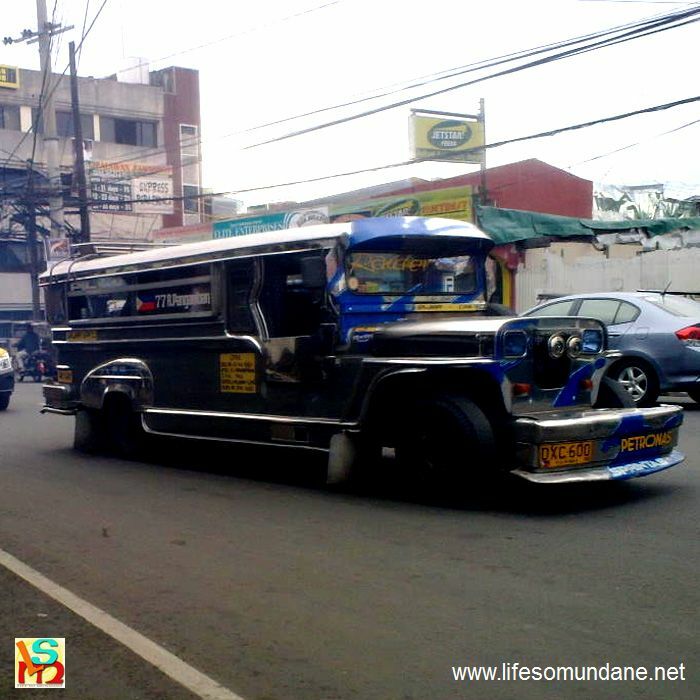 Regular passengers, naturally, know which jeepneys to take. On days of bad weather or early in the morning when the barkers have yet to wake up probably from the previous evening’s barek, passengers and jeepneys do very well without them. As I said, they are just not needed at all. It is actually not unusual for a heated argument to break out between a driver and a barker. There was this one time when a driver got impatient that there were no passengers at the stop and started to drive off. Only one passenger had gotten on and paid 10 pesos for her short destination. If at all the drivers pay, the one who I interviewed explained, it was more for the sake of ‘pakisama.’ Many drivers, he explained, think of the ‘fee’ as an unfair toll that they have to pay which naturally adds to their operating costs. If, hypothetically, a jeepney has to pass through 5 such stops along the route and pay 5 pesos in each stop, then that’s 50 pesos for every round trip. If a jeepney makes 5 round trips each day, then a total of 250 pesos will have been shaved off the driver’s income by paying the barkers alone. I asked the driver who I interviewed if the barkers were organised; and he said apparently not. They just show up when they want to and how they pick the jeepneys that they bark for is apparently played by ear instead of having a real system. This is probably correct because I have seen barkers run after a jeepney whose driver has already paid another barker. Sometimes, this could even result into arguments. While I feel sorry for the barkers who think that they are making an honest day’s living, the fact remains that whatever measly income they make still comes from a service that is not asked for by the recipient or is even necessary. That just cannot be fair. In fact, the service can be thought of as nothing but a rip-off. Passengers will board if they want to and stay no matter how loud a barker shouts.